A gas hot water heater troubleshooting guide is a guide that helps homeowners to deal with the most common problems related to pilot light, thermocouple, gas valve and gas related components. Find out what the most frequent causes, symptoms, and solutions are. Before you perform any repair on the gas water heater keep in mind that leaking propane and natural gas can be dangerous. It is good to know that natural gas, when it is leaking tends to rise while propane, as it is heavier than the surrounding air, collects at the floor level. If you smell a leaking gas near the gas water heater, shut off the pilot light, close the main gas valve and DO NOT activate any electrical power switch, not even a light. Call a plumber or gas utility immediately, from the remote location (outside for example). This is a big problem where any spark is hazardous.
" I smell a gas" - you would say... but that doesn't mean there is a problem. Natural gas is actually odorless, so what you smell is not a gas, but the chemical that is added as a safety feature so the potential leaking can be easily recognized without calling a professional. 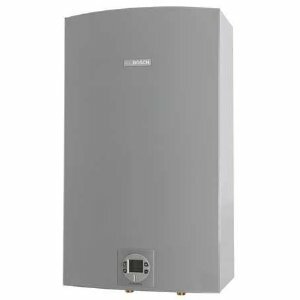 Before we proceed with the gas hot water heater troubleshooting and explain what the most common problems and symptoms are, we want you to become familiar with how a gas water heater works and its main parts. Troubleshooting, then, gets much easier and repairs are faster and less costly. Cold water from the house plumbing enters the heater tank, through the dip tube and fills the tank from bottom up. The control gas valve keeps the small pilot light on and ignites the gas burner when there is a call from the thermostat - when the temperature in the tank drops below the set temperature. Water is heated immediately. Hot flue gases run through the flue pipe located in the middle of the tank and transfer the heat to the surrounding water, making it warmer and finally hot. Hot flue gases are getting colder while rising up and finally vented out, either naturally or forced by the power vent. Through the openings at the bottom of the unit and draft hood, sufficient air is provided for proper and stable gas combustion. Once the hot water tap is open for shower or dishes, hot water is drawn from the top of the unit through the hot water outlet, then the plumbing system and to the opened hot water faucet. Outgoing hot water is then replaced with the incoming cold water. Every time the temperature inside the tank drops below the set temperature on the thermostat, the gas burner kicks in and starts heating water again. The temperature pressure relief valve or TPR - it prevents extreme pressure and temperature in the tank, helping the excessive air or water get out. The thermocouple is a temperature sensor, designed as the metal tube where one end is enclosed in pilot flame, so when exposed to higher temperature generates and delivers electrical voltage to the gas valve, so that the gas valve can open and provide gas to the main burner for gas burning. No flame - no gas supply to the burner. The gas control valve is the device from where the gas is delivered to the gas burner. It opens up if the conditions are met. It is also used to control and set the temperature. For the tank and other part protection from corrosion, glass lining on the inside of the tank and sacrificial anode rod are used. For the proper troubleshooting, it will be assumed that the gas water heater was properly installed and was functioning correctly before the problem occurred. The problems that are described below are related exclusively to the tank-type water heater. 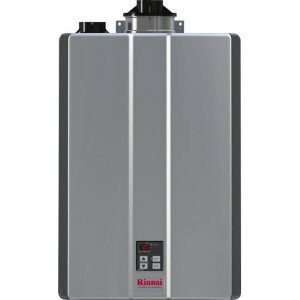 If you would like to know how to troubleshoot an electric water heater - check out this article, for tankless problems and solution - see this article and for issues and repairs that are common for both gas and electric tank-type, use this guide. Note: Basic knowledge of gas and electrical systems are necessary for proper troubleshooting of gas water heaters. 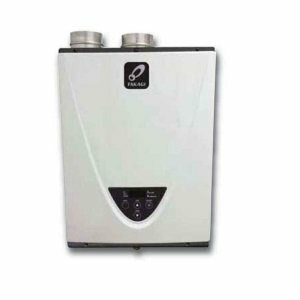 Before troubleshooting a gas water heater check is the gas supplied to your house and is it delivered to the water heater; there might be obstructions, shortage or the main gas valve is simply closed. If hot water suddenly becomes cold, the water usage might have been exceeding the tank capacity. If that is the case, wait for the water heater to recover. Another problem related to no hot water issue is that the pilot light has gone out. Relight your pilot flame according to the instructions printed on the unit, or find the details here. If the pilot doesn't relight, you might need a new thermocouple - use this article to learn how to install it and what can go wrong with the thermocouple. If the water heater doesn't perform as it used to do, hot water is actually lukewarm, there might be a lot of sediment build-up which interrupts the heat transfer. Did you check is the gas valve working? For the proper operation of gas water heaters, fresh air needs to be delivered for the complete gas combustion. The air should enter the gas chamber from the base of the unit and enter the flue vent from below the draft hood. If there is insufficient air flow, problem symptoms are seen as follows: pilot outage, yellow burner flame, sooting burner flame, the smell of burnt gas in the room and the possible presence of carbon monoxide. The solution is in prevention; check and provide enough air flow; check the flue vent and base of the water heater for possible obstructions and do not cover it with the insulation blanket. Clean the flame arrestor regularly. If your gas water heater is running and the gas chamber and flue vents are sooted, while the burner is clean, check for the potential lack of air. If all of these elements are sooted, then: a wrong orifice might be used, there is excessive gas pressure, gas burner and gas connection in the burner assembly are loose. If the pilot flame or main burner flames are too large or small, there might be some dirt and debris in the orifice or gas supply tubing, or an incorrect orifice size has been used. Follow the manufacturer's manual for the right specs. During the heating operation, while the gas is burning, the flue gases can cool to the "dew point" resulting in condensation which can now go back to the gas chamber affect the flame. What can cause the flue gases to cool are cold air supply and cool flue pipe surface. It usually happens when a new heater is filled with cold water for the first time. Condensation also happens if a large amount of hot water is used in a short time and when the incoming water is very cold. Another reason for condensation is the increased combustion efficiency, when above 87.5% of the flue heat is transferred to the surrounding water. The symptoms when condensation occurs are water around the heater right after the gas water heater operation; water dripping, small black and red spots on the gas burner, water at the top of the heater and vent piping (that is the reason for using PVC or more expensive stainless steel vent pipes). The problem is when the condensate falls onto the burner - you can hear a sizzling or frying noise. A large amount of condensate can even put out the fire. The solution is to raise the supply air temperature, stored water temperature or even tank size (make sense if the existing one is too old, and low performing). Check if there is a gas at all or is the gas pressure low, and if there is a problem with the gas supply, call the utility company. Bleed the gas line if there is some air trapped (should be done by the certified technician). When attempting to light the pilot, be sure that the pilot light button is fully depressed. Check if the pilot electrode is sparking to pilot and is the piezo igniter working properly. There might also be a defective magnet in combination thermostat-gas valve, replace it if necessary. If the pilot tube or orifice is clogged, clean it. If thermocouple connection is loose with the gas valve or in pilot light assembly bracket, tighten it with your finger and 1/4 turn with the wrench, it might need just a simple adjustment. The thermocouple has to be appropriately secured and in contact with the pilot flame. If it is broken, replace it. If you have melted insulation on the igniter wire or shorting of igniter wire replace it. If the pilot light goes out periodically, these might be the reasons: condensation may be extinguishing the pilot light, insufficient combustion air supply, clogged or incorrect vent system or inconsistent gas supply and pressure. The venting system is significant for the safe water heater operation and its efficiency and performance. A vent with a 90-degree elbow installed on the top of the tank draft hood can reduce the vent efficiency by up to 50%. The recommendation is to install the venting system that rises straight up. For horizontal vent pipes, different installation rules are available (use the manufacturer's manual for info). Decompression is another reason why the pilot flame will fail. If air cannot enter as fast as it is being used, the air pressure drops below the outside pressure, and it creates an effect called "capping". The solution for decompression is to make two air vents on the outside wall, one close to the ceiling and the other closed to the ground; if not and the room is on the balcony, for example, provide venting opening on the door. Check out how properly to vent a gas water heater. Remember - gas can explode. Before troubleshooting a gas hot water heater and perform any work on the unit, make sure that gas supply is off and always refer to the user manual. Some problems with the gas water heaters are easy to troubleshoot and cheap to fix with the correct tools and knowledge, but calling a professional is recommended.